Maintenance - Repairs - Commissioning - Advice & Installation For All Rainwater Harvesting Systems Including Emptying & Cleaning Reservoirs. We cater for the The Construction Industry, County Councils, Trusts, Schools, Self Builds and Individuals. 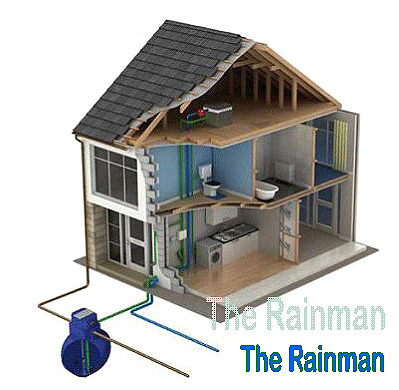 As Independant Water, Mechanical and Electrical Engineers we can advise on or repair virtually all Rainwater Harvesting Systems and Installations including the widely used products of KingspanWater, DAB & Marley which we are extremely conversant with. We were commissioned by KingspanWater for over Fourteen Years to work on their Direct, Gravity and Economy systems before we entered the market world-wide so, there are virtually no problems we have not experienced, sorted out or rectified. We always keep abreast of not only this company's products but, all other manufacturers as well. This enables us to offer the best possible Advice Including Maintenance, Repairs and Reservoir Cleaning for All Our Clients. We can also Supply and Install all Types of Pumps for Water Features, Garden Irrigation & Well Extraction. We attend Most of the UK for Installations, Servicing & Maintenance: Please Click on Locations For Our Entire Coverage Area. I Can Accept credit card payment through Paypal.